IT Alerts Archives - NiE Network it Easy, Inc.
By Witold Stanislawski, Technology Solutions Advisor. No business with Internet access is immune from the threat of compromised passwords, unauthorized electronic resource access, data breaches and other activities performed INSIDE the network. Statistically, more than 70% of cybercrime incidents target the Small Business space. 60 – 65% of those business will close their doors within 6 months from such breaches. Most attackers tend to “watch” the network activities and e-mail communications for a few weeks before they strike. During that time their activities are usually undetected. You mostly likely already have some layers of security like firewall, anti-virus, web browsing protection and anti-spam filters. Those are ‘must have’ 1st layers of defense against modern cyber-attacks. 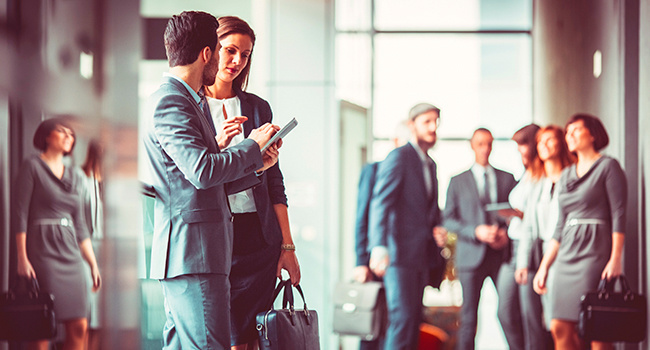 Firewalls, anti-virus, and anti-malware software are an equivalent of a perimeter protection at an organized event, where attendees must go through metal detectors and randomly show their IDs. The layers above do just that for computer networks. However, until now, there hasn’t been a practical and inexpensive way to know if any of the security policies were being breached from INSIDE of the network. Economically, it was out of reach for the Small Businesses. NIE MSSP Total Proactive Network Protection technology provides the missing layer of internal network security. Don’t hesitate to contact us to get the conversation about network security started. 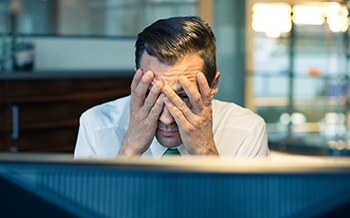 How can you tell if you are receiving poor or substandard IT service? How do you know if your computer guy is doing everything possible to secure your network from downtime, viruses, data loss, or other frustrating and expensive disasters? 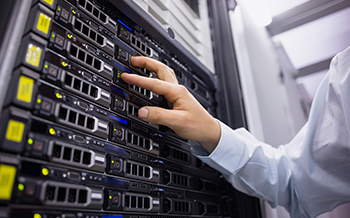 Could your current technician actually be jeopardizing your network? These are some common question most SMB owners ask themselves. Sign up below and get your questions answered. Most small and medium business (SMB) owners do not yet realize the level of threat and potentially devastating results associated with ransomware. Ransomware is literally the act of somebody holding your data, software, PC or computer system hostage until you pay them a ransom to get it back. What happens is that you suddenly have no access to a program or file and a screen appears announcing your files are encrypted and that you need to pay (usually in bitcoins) to regain access. 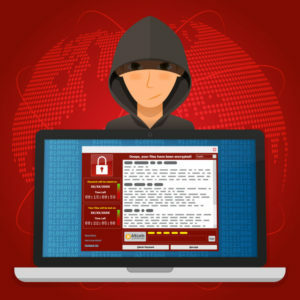 Recent studies that explored the frequency, impact, cost and other factors associated with ransomware attacks in the SMB arena showed more than one-third of businesses have experienced a ransomware attack in the last year. For roughly one in six impacted organizations, a ransomware infection caused more than 20 hours of downtime, with some organizations reporting an outage of more than 100 hours. SMBs tend to most frequently get infected with ransomware via phishing emails (either in an attachment or a link) and shared USB drives. Several steps can help minimizing the risk of getting ransomware, including staff education and awareness. Train your staff to be cautious of suspicious messages and files, even if they come from a trusted source. Ransomware also most frequently infects computers running older operating systems (i.e. Windows XP) that Microsoft no longer supports or updates. By upgrading to a newer, completely supported operating system (i.e. Windows 10), an ongoing stream of updates respond proactively to new security threats. Work with a reputable Managed Service Provider (MSP). 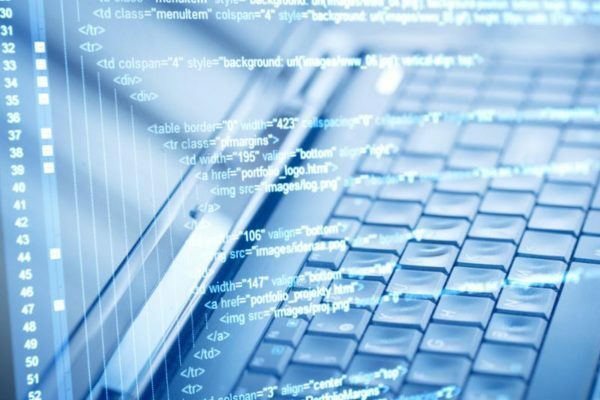 For a fraction of the cost of a full-time employee, SMBs can outsource network support and avail themselves of the latest endpoint monitoring tools, data back-up and recovery solutions and a full team of people available to fully support their computer system. Always keep your security software up to date, since new ransomware variants appear on a regular basis. Keep your operating system and other software updated – Software updates usually include patches for newly discovered security vulnerabilities that could be exploited by ransomware attackers. Be wary of unexpected emails, especially the ones containing links and/or attachments. Backing up important data is essential, it is the single most effective way of combating ransomware infection. In case of cyber-attack, if company has backup copies, its files can be restored once the infection has been cleaned up. However, organizations should ensure that backups are appropriately protected or stored offline so that attackers can’t delete them. Using cloud services could help mitigate ransomware infection. Please note that Webroot customers are protected from the Bad Rabbit – malware that is affecting computers across some Eastern-European countries, as well as Russia, Ukraine and Japan. When Bad Rabbit tries to restart your machine and encrypt data, Webroot SecureAnywhere, will prompt you with a warning about unauthorized Master Boot Record alternation. Webroot also blocks the files responsible for Bad Rabbit through the BrightCloud Threat Intelligence Platform. backup your data – Ransomware is crippled entirely if you have a backup copy of your data. Is malvertising the newest threat? As you may remember, in May 2017 Equifax, a provider of consumer credit reports, said it experienced a data breach affecting over 140 million US consumers after hackers exploited a vulnerability on its website. That’s about 44 % of the US population! The data exposed in the hack included names, Social Security numbers, birth dates, addresses, and, in some cases even driver license numbers. Unfortunately, this wasn’t the last time Equifax’s website was breached. 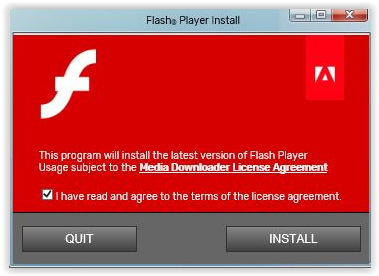 The site was maliciously manipulated last week, this time to deliver fraudulent Adobe Flash updates. Visitors who clicked the link had their computers infected with adware, which only three out of 65 antivirus providers managed to detect. If you come to think of it, this is really worrying; the site which previously lost personal data of so many US citizens with a credit history was once again attacked, this time to trick visitors into installing malware, called by Symantec Adware.Eorezo. Usually, in order to avoid being caught, attackers provide malicious downloads only once to just a select number of people. Surprisingly, this time the bogus Flash download links were served to the same visitor at least three times in a row. The Equifax site was redirecting users to the centerbluray.info page which delivered MediaDownloaderIron.exe file. Sometimes browser was redirected to at least four domains before finally opening the Flash download file. Unfortunately, only Panda, Symantec, and Webroot were able to detect the file as adware. Luckily for our customers Webroot is part of our Managed Services Provider package, so we know we keep you safe. Malwarebytes flagged the centerbluray.info site as one that pushes malware, while both Eset and Avira provided similar malware warnings for one of the intermediate domains, newcyclevaults.com. It’s not yet clear how the Flash download page got displayed. Researcher Kevin Beaumont in his twit suggested that Equifax was working with a third-party ad network or analytics provider that’s responsible for the redirects. This could mean that the breach isn’t on the Equifax site and may be affecting other websites as well. Many enterprises blend their disaster recovery and security recovery plans into a single and easy-to-implement package. But such an approach not necessarily makes sense. Undoubtedly security and disaster plans are related but not always the same things. 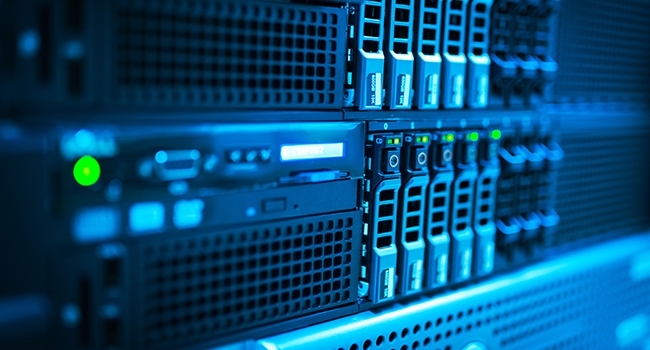 Disaster recovery and security recovery have inherently different objectives: the former is more about business continuity and the latter about information asset protection. With disaster recovery plans we tend to focus on data quality in the first place and with security plans we rely on capability of protective control, we focus on “protecting forward”. Many SMBs combine their disaster and security strategies as a matter of convenience, lured by so many similarities of those plans. Both types of plans include procedures to minimize the impact of a malicious event, that are followed up by procedures to recover from that event, as well as procedure to test and return to business as usual operations. 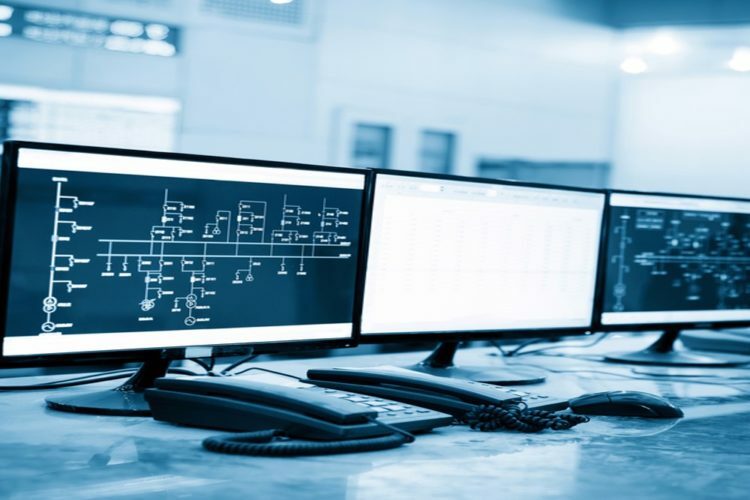 Furthermore, both disaster recovery and security plans have an option that allows to minimize the possibility of a similar event occurring once again. Security plans focus on preventing or limiting IT interruptions. Security recovery strategies need to be revisited and updated more frequently than disaster recovery plans. Events such as fires, floods or blackouts are unpredictable but we generally understand their nature. Security threats are also unpredictable, but their nature is often hard to be understood. Nowadays new external cyber threats are mushrooming, they become more and more technically developed and harder to detect, that is why it’s more difficult to keep a security recovery plan up to date. The number of natural or man-made disasters that can possibly threaten our business is relatively static. Keeping that in mind, all SMBs should implement separate disaster recovery and security plans for best protection. Did you know that businesses with fewer than 250 workers have become a prime target of cybercriminals? The worst misconception any SMB can have, is that they are too small to be noticed by cybercriminals. Even businesses with less than a dozen employees have become a growing target. Hackers see SMBs as being more susceptible to security breaches since they typically lack solid security. Instead of attempting one risky “big score”, today’s cybercriminal targets thousands of small businesses at once and uses malware to collect stored credit card information that they use to extract money. 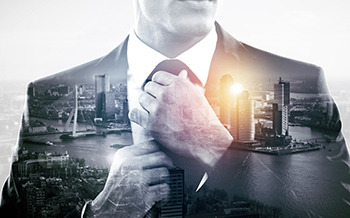 Additionally, SMBs are often seen as a gateway to the data of their high-end B2B clientele. Take Inventory:Many businesses have overcomplicated computer systems that are outdated, poorly secured, and not even business critical. Identify these. Talk Security:Employees are your greatest security threat. Talk to them about averting phishing email threats, frequently updating passwords, and staying safe while working at the office or remote. 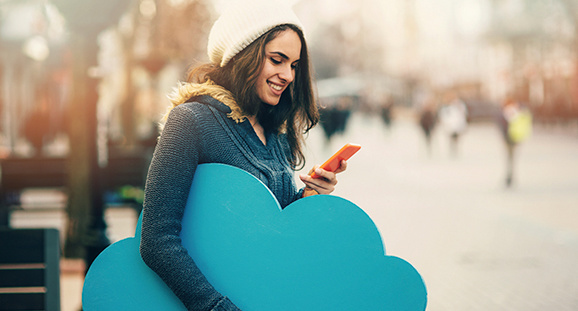 Don’t Fear the Cloud and Managed Services:Don’t let paranoia keep you from moving email, backup, and file sharing to the cloud. It saves money and is often safer. A managed services provider can also take over both routine and complex security tasks. According to the National Cyber Security Alliance, one out of every five small-and-medium sized businesses is hit by cybercrime each year. Roughly 60% of these SMBs are out of business within six months of an attack. Today’s cybercriminal doesn’t discriminate by business type or size. They look for exposed security cracks and vulnerabilities that are rife with opportunity. Don’t be the type of ignorant and defenseless SMB they typically feed on. On October 10, 2017, Office 2007 will reach End of Life. If you haven’t already begun to upgrade your Office 2007 environment, we recommend you start now. It is high time. Being Microsoft Certified Partner, Network It Easy can provide useful deployment benefits for cloud migrations and for on-premises upgrades. So what does End of Life mean? 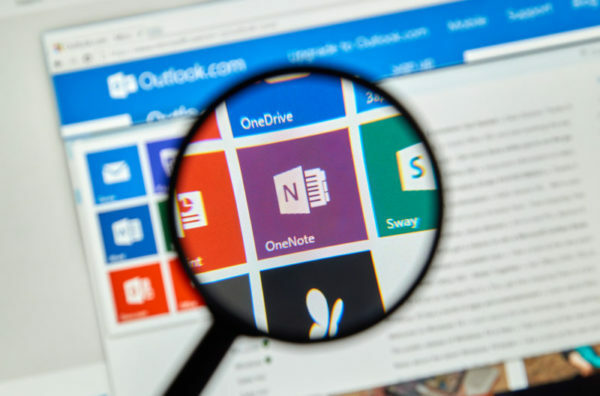 In addition, as of October 31, 2017, Outlook 2007 will be unable to connect to Office 365 mailboxes, which means Outlook 2007 clients using Office 365 will not be able to receive and send mail. Because of the changes listed above, we strongly recommend that you upgrade as soon as possible. Upgrade to Office 365 ProPlus, the subscription version of Office that comes with many Office 365 plans. Upgrade to Office 2016, which is sold as a one-time purchase and available for one computer per license. Upgrade to an earlier version of Office, such as Office 2013. If you think you cannot manage that process on your own, contact us and will be happy to help. In our next post, we’ll show you what Office 365 ProPlus is, so stay tuned. We often forget that periodically assessing our IT security is an important part of our organization’s preventive maintenance plan. Security is mostly an invisible attribute, we tend to set it up and then forget about it. But each of us has our blind spots, causing us to miss things. Our infrastructure changes over time, possibly opening it up to new vulnerabilities. And new methods of attack are invented daily, so what was secure yesterday may not be secure today. Think of your company as of your car with a list of scheduled maintenance tasks and create a similar list of security features to be checked on a regular basis. Undoubtedly you can perform some of them yourself, but nothing can replace an independent expertize. An increasing number of organizations are bound by governmental regulations that dictate what security measures you should have in place and how they should be audited. HIPAA, PCI, FISMA, Sarbanes-Oxley, and Gramm-Leach-Bliley all dictate how to secure different types of data and the systems that manage it. They also require regular security posture assessments, though they vary on specific requirements and time frames. Find out whether your security has already been compromised. According to FBI there are two kinds of companies; those that have been hacked and those that don’t know they were hacked. Stay on top of the latest security threats — with new attacks coming on the scene every day, you could become vulnerable even if nothing has changed since your last assessment! Educate your employees – increase their awareness and understanding of security issues. Let your customers know that security is important to you and that you care about them and their data. Check out in which ways your security can be compromised from the inside or outside, from both internal and external sources of attack. 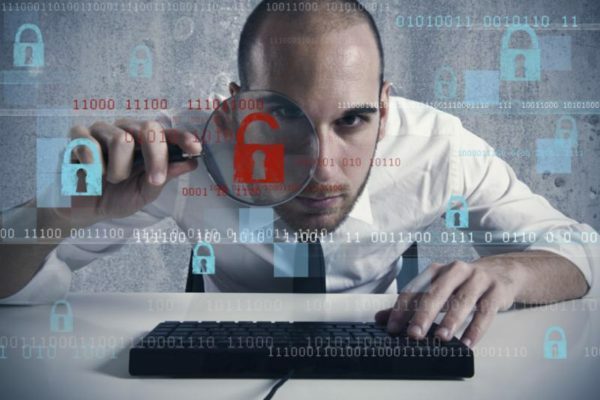 It is not enough to audit your firewall rules, you need to know if hackers can gather information through a company directory posted on the Internet. Check how well have you been keeping up with patches? These are areas you need to pay attention to: operating systems on servers and workstations; infrastructure services such as email and DNS; enterprise applications including Web applications and databases; and desktop productivity applications. So, are you following your patch policies? Assess and re-assess how your network is defended at its perimeter, and how well it is segmented internally to limit the damage that can be caused by prying eyes or errant applications. 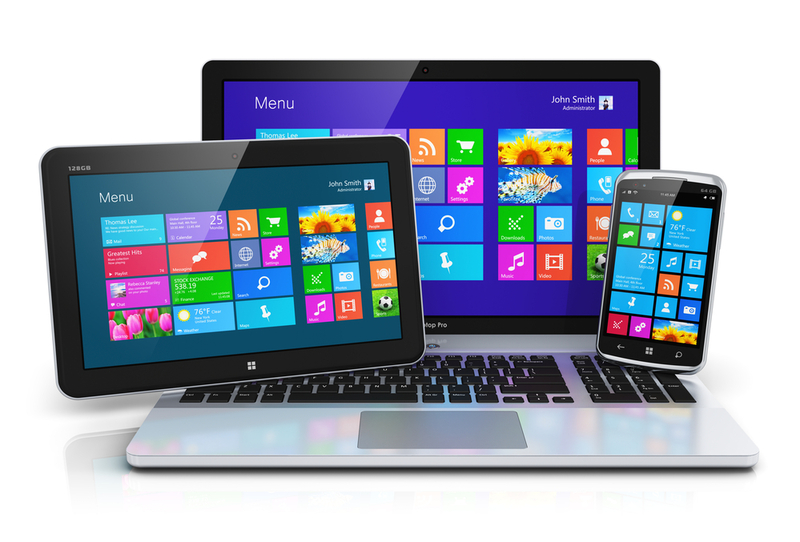 Audit both your device configurations and your update procedures and policies. Write down your security policies to give your employees guidance and you a benchmark with which to compare your performance. Use encryption to secure internal and external communication, including between layers of software. Viruses can come from practically anywhere: from an employee’s home laptop, from visiting a malicious Web site, from an infected USB drive. How well is your antivirus software working, and how prepared are you to stop viruses if your countermeasures fail? Develop a policy that dictates how complex user passwords must be and when users are forced to change them. Make sure you are auditing it periodically by running password-cracking software. Assess how well your organization works, how well your procedures are documented, and how well your staff members keep up to date with their field. Remember that backups are important part of your security strategy; verify that they work by actually restoring your data. You may be bound by governmental regulations dictating how you secure and manage your business data and your customer information. Whether your organization falls under HIPAA, FISMA or PCI DSS you need to do a risk assessment. Self-assessment is surely a good thing, but in order to prepare for a full compliance audit it’s important to get an independent outside consultant to perform this critical assessment. Last month at Inspire, Microsoft unveiled Microsoft 365, which brings together Office 365, Windows 10 and Enterprise Mobility + Security, delivering a complete, intelligent and secure solution to empower employees. It represents a fundamental shift in how we will design, build and go to market to address our customers’ needs for a modern workplace. With more than 100 million commercial monthly active users of Office 365, and more than 500 million Windows 10 devices in use, Microsoft is in a unique position to help companies empower their employees, unlocking business growth and innovation. To address the commercial needs from the largest enterprise to the smallest business, the company is introducing Microsoft 365 Enterprise and Microsoft 365 Business. Unlocks creativity by enabling people to work naturally with ink, voice and touch, all backed by tools that utilize AI and machine learning. Provides the broadest and deepest set of apps and services with a universal toolkit for teamwork, giving people flexibility and choice in how they connect, share and communicate. Simplifies IT by unifying management across users, devices, apps and services. Helps safeguard customer data, company data and intellectual property with built-in, intelligent security. Microsoft 365 Enterprise is offered in two plans—Microsoft 365 E3 and Microsoft 365 E5. Both are available for purchase as of August 1, 2017. Microsoft 365 Enterprise is built on the foundation of the highly successful Secure Productive Enterprise, which grew seats by triple digits in the last year. Going forward, Microsoft 365 Enterprise replaces Secure Productive Enterprise to double-down on the new customer promise of empowering employees to be creative and work together, securely. Helps companies achieve more together by better connecting employees, customers and suppliers. Empowers employees to get work done from anywhere, on any device. Protects company data across devices with always-on security. Simplifies the set-up and management of employee devices and services with a single IT console. Microsoft 365 Business is available in public preview starting August 2, 2017. It will become generally available on a worldwide basis in the fall (CYQ3) of 2017. Microsoft Connections—A simple-to-use email marketing service. Microsoft Listings—An easy way to publish your business information on top sites. Microsoft Invoicing—A new way to create professional invoices and get paid fast. Recent Microsoft updates for security and compliance include enhancements to Advanced Threat Protection, eDiscovery, Advanced Data Governance, Advanced Security Management and expanded support for Windows Information Protection. Read on to learn more about these updates. Threat Protection status report—New reporting for ATP and EOP that adds visibility into malicious emails detected and blocked for your organization. This supplements the recently introduced reports in the Security & Compliance Center for ATP Safe Attachments. Enhanced quarantine capabilities—Now all emails classified as malware from both EOP and ATP are quarantined. This builds upon the existing quarantine experience by allowing administrators to review and delete emails from quarantine. Additional details on these new features can be found in the Microsoft Tech Community, as well as on the EOP and ATP product pages. EOP is offered across the enterprise E1, E3 and E5 suites. ATP is offered as both a standalone SKU or as part of E5. Optical character recognition in Advanced eDiscovery—Extracts text from image files or objects within the files, significantly reducing the amount of manual remediation work required to analyze image files. Rights management (RMS) decryptionin Office 365 eDiscovery—Automatically decrypts RMS-encrypted email messages at export time when you choose the MSG Export option. Unified case management—Provides a consistent user interface spanning the eDiscovery capabilities in Office 365, from core to advanced, which helps to reduce potential human errors by streamlining eDiscovery case definition and eliminating several steps in the process. Many organizations have the need to perform supervision of employee communications. This need stems from internal security and compliance guidelines, or from regulatory bodies such as the Financial Industry Regulatory Authority (FINRA). In both cases, failure to have a demonstrable supervision process in place could potentially expose organizations to liability or severe penalties. To address this need, Microsoft has released the new Supervision feature in Office 365 Advanced Data Governance. Supervision covers not only email communications, but also third-party communications streams, such as Facebook, Twitter, Bloomberg and many more. Supervision is part of Office 365 Advanced Data Governance, which is available as part of Office 365 E5 or the Office 365 Advanced Compliance SKU. the viewing canvas is getting a fresher look and feel with lighter colors and more purposeful spacing that helps you focus on the content – aligning more to other Office 365 experiences. These features will be gradually rolling out in the following days, and the roll-out will be completed by the end of July. The best part is that you don’t need to do anything to prepare for this change, but you may consider updating your user training, and notifying your help-desk. Earlier in May, Microsoft unveiled a new wave of innovations that build upon the vision they set forth last year to reinvent content collaboration and usher in a new generation of mobile and intelligent intranets. We already know that SharePoint and OneDrive in Office 365 empowers individuals, teams and organizations to share with confidence, transform business process, inform and engage the organization, and harness collective knowledge. These new announcements make it easier than ever for customers to drive such outcomes and accelerate their digital transformation. OneDrive lets you share files securely with anyone—inside or outside your organization. Its deep Office integration, which powers rich co-authoring, allows you to collaborate on these shared files with others in real time. And it lets you access all your Office 365 files, including your individual work files and files shared with you by individuals, teams and the organization—regardless of whether you’re on a PC, Mac, an iOS or Android device or a Windows phone. Files On-Demand enables you to work with all your files in Office 365—both work and personal, across OneDrive and SharePoint—right from File Explorer, without having to download them and use storage space on your device. Starting this summer you will be able to share Office 365 files directly from File Explorer on PC and Finder on Mac. The sharing experience has been simplified, so you can share a file or folder with specific people or send a link that enables anyone who needs access, inside or outside your organization. In addition, you can now control how long a link provides access, and you can easily view and modify the permissions you have granted. The ability to connect existing SharePoint team sites to Office 365 Groups, so you can augment existing sites with shared conversations, calendar and Planner. Support for adding SharePoint pages as tabs in Microsoft Teams so you can add a tab with a news article or your team site’s homepage, for example. This builds upon the existing ability to add tabs for SharePoint document libraries in Teams. When you click in the Search box on SharePoint home in Office 365, recommendations appear instantly. You’ll see recent files, making it easy to get back to your work, as well as relevant content, sites and news. When you’re searching for knowledge, it may be found in content such as files, sites and news. And it might also be found through your colleagues. Now, your search results will include people whose skills, interests and projects—part their Office 365 profile—are relevant to your query. Search results activate people cards, so you can learn at a glance about a person and the content they work on. One more click activates an extended view with richly detailed information from the user’s profile. These enhancements to search will roll out over the next few months. Microsoft has improved the sharing UI on the OneDrive for Business and SharePoint Online websites and sync clients to provide easier collaboration and better security. The Share command now sends shareable links by default rather than granting permissions to specific people like the old Invite people tab. This better matches user expectations that links sent in email can be forwarded to others by default. 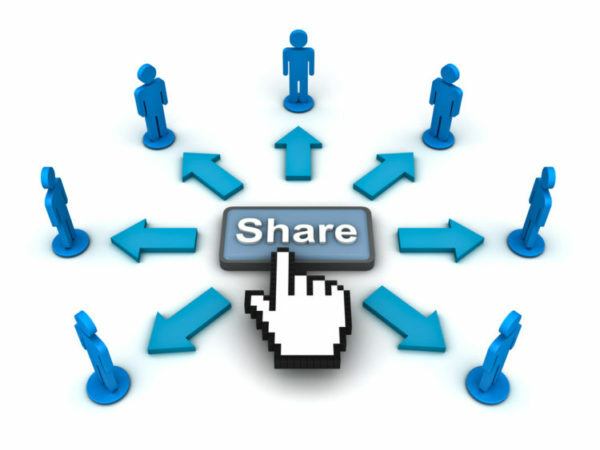 In other words, Share does the same thing as Copy link except it enables users to send the link immediately to recipients via email. Both the Share and Copy link commands are now default to the same permissions and use the same link settings. Anyone with this link – this shareable link can be forwarded to others or people might be added to the thread. This option does not require recipients to sign-in and hence is the most convenient for recipients. It can be used for sharing content with others, including people outside your tenant. Only people in [tenant] – users who open the link must sign-in or be signed-in to a non-guest account in the tenant. It can be forwarded to others or people might be added to the thread, as long as these people are inside your tenant. If any external user gets a hold of the link, they will not be able to use it. It can be used for sharing internal-only content. Specific people – this link will only work for people who were granted permission (and others who already have access to the item). If recipients want to send this link to anyone else, they need to ensure those recipients have been granted permission to the resource, otherwise the link won’t work. This option produces behavior similar to the “Invite people” tab in the old sharing UI. Tenant admins who wish to change the default link permission can do so in the OneDrive Admin Center and the SharePoint Admin Center. Users who want to explicitly grant permissions to an item without sending a link can do so by selecting “Manage access” and then selecting “Add people”. Many small firms are pretty busy handling their own business, and don’t give much thought to what they would do if a natural disaster from a bad snowstorm to much worse hit their physical location and cut power, or physical access to the building. What if the equipment storing all of your data and software needed to run day to day operations became inaccessible? 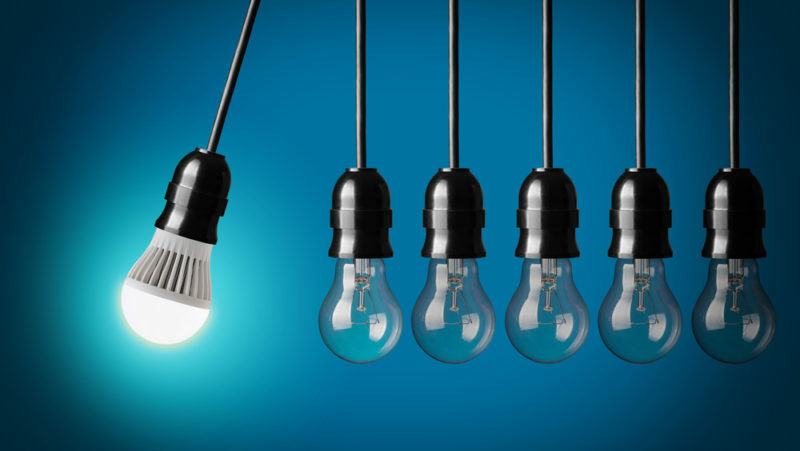 What would happen to your ability to continue to serve your clients or customers? Though we call it the cloud, with images of gray skies and rain, the cloud can be a ray of sunshine. It is an excellent and cost effective resource for smaller firms to make sure they maintain 24/7 access even in bad weather. Because everything is maintained off site, you can (1) bypass disruption or damage that may have occurred at your physical site, and (2) access what you need to keep your business functioning from any remote location. Small firms need to realize they are most vulnerable to business disruptions, as they have less capital and fewer resources to carry them through a bad period. The cloud represents a simple and value driven resource to address business continuity issues that could turn a small firm’s business upside down. The network layer refers to software attacks delivered online. This is by far the most common vector for attacks, affecting 61% of businesses last year. There are some things that only people can fix. There are many security risks to which your data is susceptible, but there is one method that remains a wonderfully effective hacking tool. That is the phishing scam. This is a legitimate looking email that asks the reader to click on a link. If clicked, the link can infect the user’s computer with malicious software that can steal passwords, logins, and other critical data. Alternatively, the email appears to be from a legitimate source, perhaps even duplicating a legitimate webpage. The distinction is that the phishing email asks the user to enter personal information, including passcodes. In either case, that is how hackers easily get into your systems. What’s the best defense against this one? The single biggest defense is education. Training your people to be constantly wary of all the emails they receive. One way some firms are educating their people is by sending out their own “fake” phishing scams. Employees who click on the link inside are greeted with a notice that they’ve fallen for a phishing scam and then are offered tips how not to be fooled in the future. Think of it as the hi­-tech version of Punk’d. You may not be ready to go that far, but it is important to provide ongoing training to all of your staff about phishing scams. 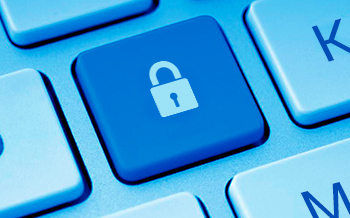 Your staff are all critical factors in your data security plans. 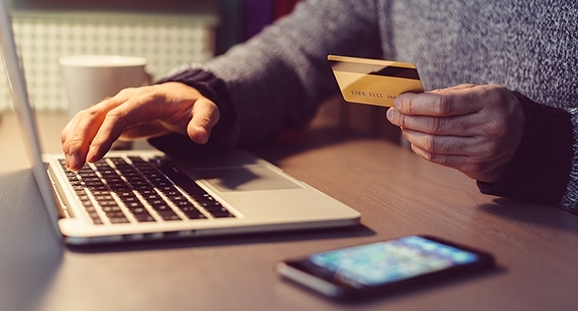 If you’re a small business, then you’re a target for cyber criminals. Last year, 71% of small to medium size businesses were the victims of cyber attacks. Today’s concern is how you would respond to an attack. 31% of small to medium businesses do not have a plan of action for responding to IT security breaches, and 22% admit that they lack the expertise to make such a plan. A data breach is disastrous. Your response determines whether it’s a survivable disaster. You need to have a statement for customers ready, (47 states require businesses to disclose data breaches), you need to be able to quickly access backups, and you need access to professionals with experience in disaster recovery and business continuity.